March 20th ~ Soup Supper at 6 pm, 7 pm Worship at St. Stephen’s UCC, Perkasie with Rev. Scott Hutchinson preaching. 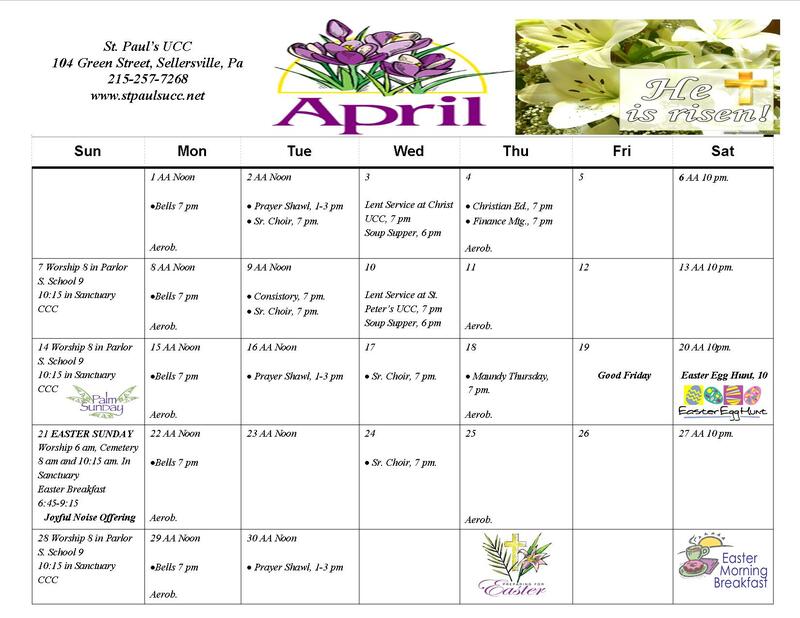 March 27th ~ Soup Supper at 6 pm, 7 pm Worship at St. Andrew’s UCC, Perkasie with Rev. Steve Hamilton preaching. April 3rd ~ Soup Supper at 6 pm, 7 pm Worship at Christ UCC, Trumbauersville with Rev. John Steitz preaching. April 10th ~ Soup Supper at 6pm, 7 pm Worship at St. Peter’s UCC, Tohickon with Rev. David Heckler preaching.